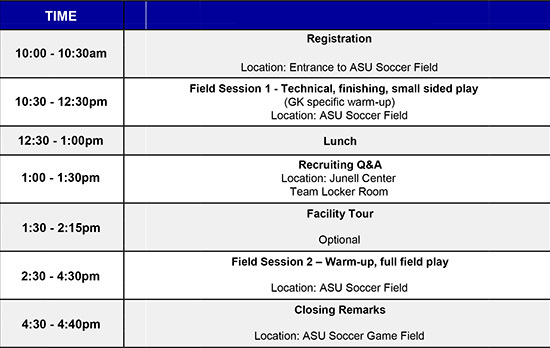 CAMP DESCRIPTION - Our goal is to introduce campers to the experience of playing elite level college soccer. We provide college level training sessions, coaching, and player evaluation. We aim to do this in a fun, competitive, and positive environment.